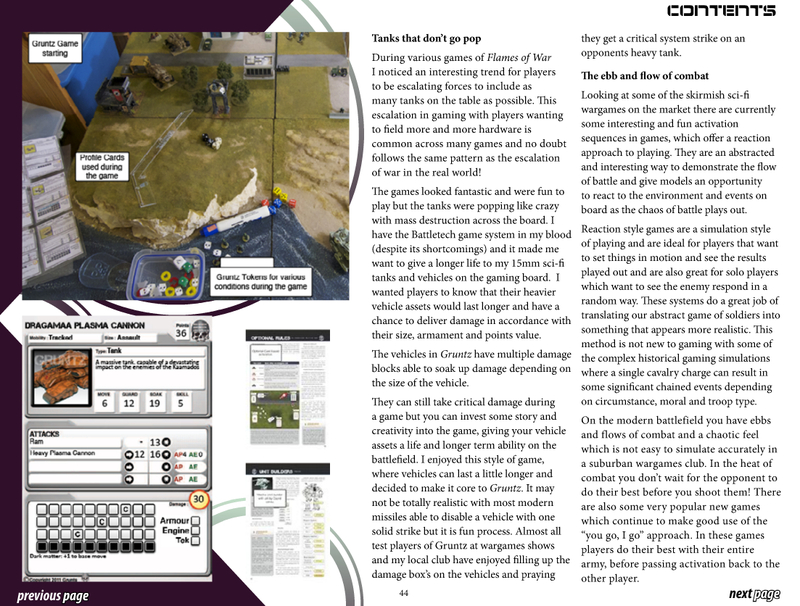 In this Months release of Battlespace I talk about science fiction gaming and provide some detail about design thoughts for Gruntz. 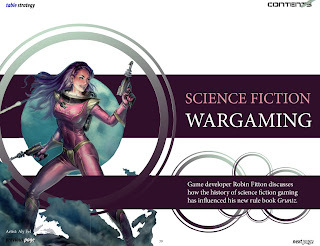 James Dilon the publisher of Battlespace has created an interactive Flash magazine, which you can view on-line or download as a PDF. Due to the animation, music and interactive content in Flash it unfortunately does not work on an Ipad, however the PDF edition will work on for static viewing. It is well worth checking the full flash version because of the rich sound and navigation. 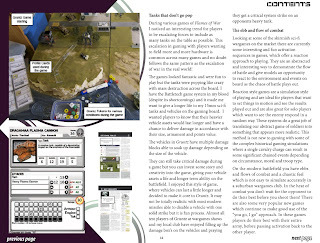 It is a free magazine and features the artwork by Aly Fel which will feature in Gruntz. 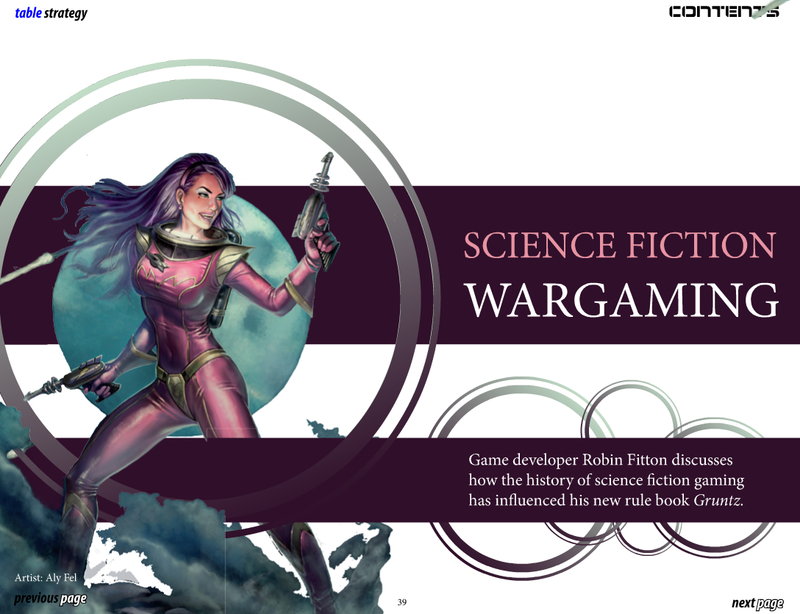 I talk about some of the design concerns I had with topics covering items like hard and soft sci-fi. The Commonwealth saga is by Peter Hamilton not John Hamilton. O dear! Editorial blunder :). Glad to see someone had at least read it. I will get onto James to see if he can change the on-line copy..